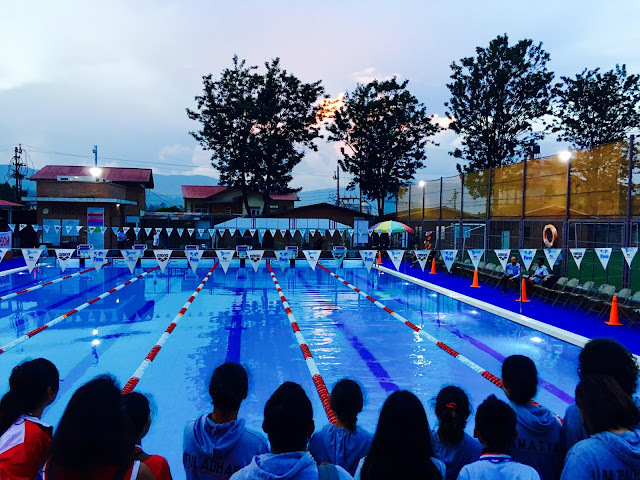 Lincoln Recent News: LS Snow Leopards Make Waves at 2nd LS Swim Champs! LS Snow Leopards Make Waves at 2nd LS Swim Champs! The Lincoln Snow Leopards Continue to Make Waves in the Pool! The weekend of October 1 & 2 saw the 2nd annual Lincoln School Invitational Swimming Championships bring our community together for a couple of days of excitement as our swimmers continue to dazzle in the pool. As the defending champions from last year, our Snow Leopards had high expectations of themselves in the water, and saw the meet as an opportunity to have fun, make some friends from others schools, and swim some personal best times. A total of around 170 athletes from 18 different schools participated in the meet, while the Lincoln swimmers showed what hard work and dedication can do for their skills and overall performance. The support from the swimmers, parents and coaches was outstanding, with the team earning a total of 31 individual golds, 28 silvers, 26 bronzes and countless personal best times. On both days, a large amount our swimmers made it to the finals, proving what hard work can do for their times. Once again, our Snow Leopards emerged as champions with a massive points total, but more importantly lessons learned and experienced gained for future competitions. Nasir Hussain smashed four 10-12 boys' Lincoln records, including the 100 Free, 50 Back, 50 Fly, and the 100 IM. Alex Shah broke the school record for the 13-14 boys' 100 free with a time of 1.04.98. Tisa Shakya broke school records in both the 13-14 girls' 100 free and 200 free with some fantastic times, including a 1.09.05 in the 100 free. Niharika Tuladhar swam an incredible race during the finals on the 2nd day, breaking her own Lincoln & SAISA record in the 100 breast with a 1.25.00. She also broke the 15-19 girls' 50 fly record with a 32.86. Oshina Bharati demolished her own LS record in the 100 Back by 2 seconds, clocking a 1.15.97. Our relay teams showed their strength in depth by breaking both the 4*50 Medley Relay, as well as the 4*50 Free Relay records in 13-14 and 15-19 age groups. A total of five relay records were broken! Overall the 2nd Annual LS Invitational was a great success for our Lincoln Snow Leopards and our community at large, and we are eager to show our efforts and love for swimming at SAISA in two weeks! P1 students share the "Gruffalo Story"